We are delighted to announce that Dublin Poet Michael O’Loughlin has been invited by Prague to be the City’s Writer in Residence for the months of September and October 2017. 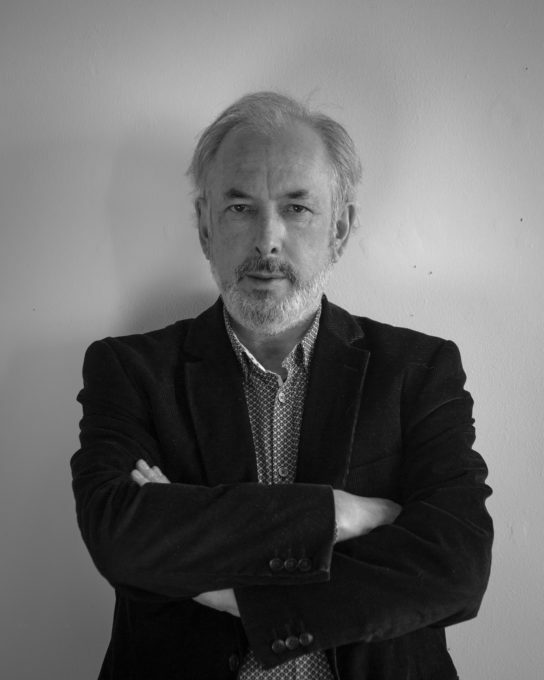 Prague is one of Dublin’s sister Cities of Literature in the UNESCO Creative Cities Network and Michael’s strong connections to Prague, along with his impressive credentials as a poet, have won him this prestigious honour. During his time there, Michael will participate in local literary life and will be asked to submit a text inspired by his visit. Michael O’Loughlin was born in Dublin in 1958 and graduated from Trinity College Dublin. He has published five collections of poetry: Stalingrad: The Street Dictionary, Atlantic Blues, The Diary of a Silence, Another Nation: New and Selected Poems, and In This Life. He has translated extensively from Dutch, Spanish and Catalan, including Hidden Weddings: Selected Poems of Gerrit Achterberg. His poetry has been translated into many languages. His short fiction has appeared in The Picador Book of Contemporary Irish Fiction and the The Scribner Book of Irish Writing. He has also written screenplays for feature films, including Snapshots. Michael has been Poet in Residence at The Frost Place (Franconia, NH), Writer in Residence in Galway City and County, LAF Writer in Residence in Riga, Latvia, and Writer Fellow at Trinity College Dublin. He is a member of Aosdána, the Irish association of Artists. These poems from three and a half decades constitute European poetry in the mask of English, and they are a unique addition to the Capital of Letters. ‘I started a long distance love affair with Prague as a teenage poet in the suburbs of Dublin in the 1970s. Prague first appeared to me as the opposite of Dublin, the quintessential Central European city, redolent of medieval history and empires, the city of Kafka and the Golem, Rilke and the Good Soldier Schveijk. I came to know it through its poets like Holub and Seifert, as well as the novels of Kundera, Hrabal, Klima, Vaculik, and Josef Skvorecky. Above all, the Prague poet Vladimir Holan would have a decisive influence on my poetry. In 1978 I crossed the Iron Curtain to visit Prague, and saw the concrete city for myself, still under Soviet dominance, but defiant, patient, and humorously confident. From then on I would follow events in Prague from a distance, but with a special emotional and imaginative involvement. What is it we’re nostalgic for?